The intention of this presentation is (1) to explore the matter of Carl Jung's relationship to Christianity, and (2) to ask whether or not his experience and understanding in this area offers a model to those today who cannot accept the traditional interpretations of Christianity. 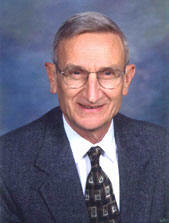 Dr. Martin is a retired Presbyterian (USA) minister. He is a former board chair and one among the favorite presenters and teachers at "Journey into Wholeness," where he taught the Pre-conference "Introduction to Jung" or "Language of the Soul" seminars for more than twenty years. We all need to belong and we all know what it is to exclude and to suffer exclusion. Through dream, memory, visual art and group process we will explore the dynamics of belonging and exclusion and bring related attitudes and behaviors to our conscious attention. We will discover how the body, like dream and fantasy, can awaken us to unconscious individual and group responses to those outside the bounds of our belonging. Most importantly, we will experience the transformative aspect of the outsider archetype through sacred image and story, opening ourselves to the presence of the Divine in the guise of the outsider. Dr. Costello is a Zurich-trained, Jungian analyst in private practice in Washington, D.C.. She earned her doctorate in the History and Literature of Religions from Northwestern University. A former Assistant Professor of History at St. Mary's College of Maryland, Dr. Costello has taught and published on the topics of psychology and religion, medieval spirituality, and clinical practice. Her recent book, Imagination, Illness and Injury: Jungian Psychology and the Somatic Dimensions of Perception was published in 2006. Modern Man in Search of a Soul, the title of a collection of Jung's essays, expresses the main focus of Jungian psychology. The sometimes fearful journey to the inner King is alchemically depicted as transforming psyche's dark leaden matter into precious gold. Modern attachment theory and academic recognition of the pre-eminence of love have led to a substantial reformulation of psychoanalytic theory. Now there can be a new, rich and deep application of the essential Christian message to the psychoanalytic process as well as a reformulation of Christ's message within a modern psychoanalytic context. Coming Soon to Your Planet--Apocalypse Now! Jung's Answer to Job analyzed the dark side of God that broke through most clearly in the Christian Scriptures in The Revelation to John. Jung recognized a fundamental flaw in the Christian collective unconscious that distances itself from the sensuous, the feminine, the body and the earth. The alchemists struggled to create a whole Self image and prevent the Apocalypse from becoming a literal truth; and that danger must be taken seriously NOW! Many leading climatologists are saying in only ten years we may reach a point of no return that will have the most dire consequences for life on earth. All spiritual and religious traditions are being challenged to address the impending environmental crisis. Jung’s psychology paves the way for a wholistic and Christian response that is not only possible but necessary. A developed consciousness and a deepening experience of global human familihood is now an imperative. What do Jung’s psychology and Christian faith have to say to us about the recovery of Spiritual values necessary to meet this most critical challenge of our time? Carl Jung observed that if dreams have an ultimate plan in mind, it might be a natural tendency towards establishing wholeness. Jung described this as a process of transformation, which is cyclical and evolutionary. Bob Hoss will provide evidence for that transforming process being present in everyday dreams and describe the biology and psychology of what is taking place. You will learn how to recognize this process in your own dreams, and be taught a method for understanding specifically what your dream is dealing with and how to help that dream bring about your own personal transformation. This cosmic dream story follows one dreamer’s circular journey through the continuum of existence, from discovery of self to Planet Earth and Beyond. A geologic dream series, for example, can reveal threatening changes in the external environment just as a personal dream does in the internal environment. It reflects this dreamer’s insights but could as easily be yours. As we engage in the interlocking struggle of self-survival and species-survival, this dreamer invites you to leap into the unknown with her and discover that our dreams can actually help us to transcend ourselves. Judy Gardiner retired from a 20-year corporate career and turned to her dreams which she has been analyzing, writing about and researching for 15 years. This led to scientific information she had never known, and her self-study transformed to a cosmic wake-up call illuminating the union of Science and Spirit. 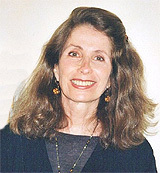 Her work with Montague Ullman focuses on this transpersonal quality of the dream. She is now ready to publish her novel, Lavender – An Entwined Adventure in Science and Spirit. Dennis Merrit and Judy Gardiner will team up to lead a discussion around the issues surrounding and arising from their presentations concerning the environment and the crisis we now face as a human species in relation to it. While we might be familiar with some of the archetypal "longing or searching for home" themes found throughout literature, how often do we ponder these archetypal themes played out in our own real life relationship with home? Most, if not all, of these archetypal themes of searching for an outer home symbolize an inner spiritual journey fueled by a deep yearning and longing. It is a yearning and longing for what Jung refers to as the "Self." This unconscious yearning to "come home" to the Self is often consciously experienced as longing pertaining to some aspect of our outer home, such as renovation, frequent moves, or even avoidance or neglect of home. In this workshop we will look at the image of home as a symbol of the Self and at the ways in which an outer search for home, in all of its myriad manifestations, is often a search for the Self in disguise. We will also look at how feelings of inner homelessness (as an image of disconnect from the Self) are expressed by the unconscious in dreams, in relationships, and in attitudes toward outer home. 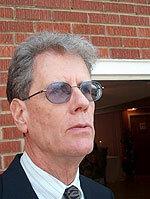 Dee Follin is a Jungian Analyst in Greensboro NC. She received a J.D. from Wake Forest University and practiced law for a number of years in NC before moving to Boston where she trained as a analyst at the C. G. Jung Institute - Boston. Dr. Yates will share some archetypal dreams which deepen the spiritual journey, such as dreams of the Black Madonna, Sophia, and the inner Christ. The dreams shall serve to generate discussion of the parallels between the image of God within us and the wholeness of the Self. 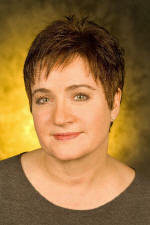 Dr. Jenny Yates is a Zurich trained Analyst. Currently, she teaches Jungian Psychology and Religion in the Master of Arts in Liberal Studies at the University of North Carolina, Wilmington. Prior to her move to the beach, she Chaired the Department of Religion at Wells College in Aurora, N. Y., where she was a Professor of Religion for twenty seven years. She holds a Master of Arts in Religion from Yale Divinity School and a Ph. D. from Syracuse. 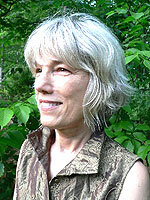 Her books include: Jung on Death and Immortality, Princeton,1999, and The Near Death Experience, Routledge, 1996. Rev. 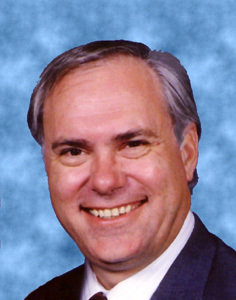 John L. Martin, D. Min. John Martin will lead a "Jung 101" workshop for those new to the work of C.G. Jung and those who want a refresher. In it we will define the basic Jungian concepts and their interconnections. This workshop will deal with Jung's discovery of a "Myth of Our Own" and its development since the corroboration of the Big Bang Theory. After a short presentation of Jung's statements on the topic, segments of a DVD will be offered to stimulate discussion. Drawing on the work of Jung, von Franz, Carotenuto, Young-Eisendrath, Harding and life experience, we will discuss the re-discovery of feminine authority via relationship with the animus as center of inner psychic equilibrium. We will explore the negative masculine as the key to transformation as he makes himself known through dream images, neuroses and stories. Finally, we will seek to understand the emergence of the positive masculine as source of power and a bridge to wholeness. Sharon Martin was born and grew up in the Deep South, where she developed an acute interest and sensitivity to the relationship between culture and gender. She received both her bachelor’s and master’s degree at Emory University in the Psychosocial Nurse Practitioner program, obtaining advanced certification as Family Nurse Practitioner and Psychiatric Clinical Nurse Specialist. She is a 2005 graduate of the C. G. Jung Institute Zurich. She began her private practice in Atlanta and has recently relocated to the lowcountry of Charleston, South Carolina. 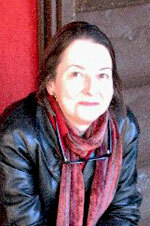 Kathryn Cook-Deegan, M. A., M.P.A. A provocative presentation on fat. Exploring its richness, looking at its excessiveness. Phat!/obesity/stored energy. We’ll circumambulate this from many perspectives, including a developmental standpoint; the artwork of Joseph Beuys; liposuction to Restalyne; the Tibetan butter lamp festival – all to better glimpse what it is we’re hungry for and how we seek to soulfully nourish ourselves in this big, noisy country of ours. Kathryn Cook-Deegan has a private practice in Durham, North Carolina and is a member of the North Carolina Psychoanalytic Society and a Diploma Candidate -- International School of Analytical Psychology, Zurich. Farrunnissa Lila Rosa is a certified Dance teacher, member of the world-wide Mentor Teachers Guild for the Dances of Universal Peace, and founder of the Dance community in the Triangle area of North Carolina. She leads Dance meetings and workshops across the eastern U.S., bringing clarity, inspiration, and vision to each Dance circle and empowering each Dancer to find a personal experience of the Divine through body, breath, and heart. She will offer us the opportunity to dance. Jung stated that “the general function of dreams is to try to restore our psychological balance.” He talked about how dreams can compensate for our misconceptions in life that become barriers to our growth and transformation. Our dreams therefore become a valuable resource for spiritual and psychological growth, but as we understand their meaning, dreams can surface emotional barriers that we have been unable to overcome. A unique “bridging” of dreamwork and Energy Psychology can provide a powerful method for both identifying and reducing these emotional barriers. Participants will learn a simple yet effective Gestalt based approach for identifying issues the dream is dealing with. This is followed by the Emotional Freedom Technique and a dream closure method to calm emotional impact and promote personal progress. Presentation of the supporting research and a case example will be followed by an experiential procedure open to all participants. A worksheet is provided. Lynne Hoss, MS, EHP-C has an M.A. in Clinical Psychology, is Energy Psychology Program Director for Innersource, and contributing author to 101 Great Ways to Improve Your Life. As a former counselor coordinator for EAP programs with the Hunterdon Council on Alcoholism in New Jersey, she teaches EP in public presentations and private sessions. She is trained in various energy psychology protocols, and certified by the Association for Comprehensive Energy Psychology. This experiential workshop will rekindle memories of ourselves through the world of symbolism and expressive arts. Participants will let their fingers do the walking and be called to a symbol. After meditating quietly with the symbol participants will then choose a stick with which to create a power stick which they will adorn with objects evoking memories of what lies within them. A celebratory ritual will then bring an ending to this workshop which will literally bring form to the power of our interior world. Dr. Armstrong Hickey has been practicing as a licensed Marriage and Family Therapist specializing in play therapy and expressive arts for almost thirty years. She originated and developed to completion two graduate certificate programs in Art Therapy and in Play Therapy. She is currently Assistant Professor in Psychology at the Greenville Technical College in Greenville, SC, is a research mentor at Walden University, is on the faculty at the Trauma Center in Greer, Sc, and has a private practice, The Mindgarden where she specializes in working with those devoted to their personal development through expressive arts and dreamwork. In this workshop, we will approach yoga as spiritual practice that both parallels and compliments Jungian psychology. Jung’s work challenges us to hold the tension of opposites until a third element arises. Often, this unifying element springs from stillness, providing us with a renewed sense of wholeness. Yoga grounds spiritual development in an awareness of the body. The practice of yoga also deepens our capacity to work with opposing elements, teaching us, again and again, to return to the stillpoint within. We will first create a sacred space. Then, we will explore breathing practices, gentle postures, and meditation as gateways to the stillpoint. No previous experience with yoga is necessary. If possible, please bring a yoga mat and a cushion to sit on. A few extra mats will be available. 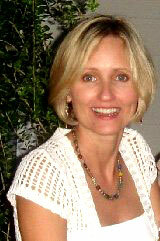 Debra Alvis, Ph.D. is a psychologist and a certified yoga teacher. She developed and currently leads the Mind/Body Program at the University of Georgia’s Counseling and Psychiatric Services Center. 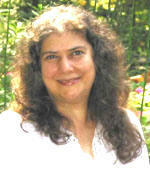 She conducts a private practice and offers workshops in the United States and in Mexico. 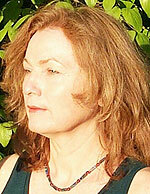 In her work, Debra integrates yoga, a focus on dreams, and the expressive arts. She lives in Athens Georgia with her husband, David, and their two cats, Satchmo and Tutu. What is the nature of men’s attraction to images of raw masculinity and violence? Using readings from Pulitzer-Prize winner Cormac McCarthy’s novel, Blood Meridian, this workshop for men will explore the draw of the geographical and psychic landscapes that are drawn in McCarthy’s work. 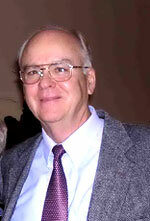 Peter Wohlwend, M.Div., is a graduate of Tennessee Wesleyan College and Duke Divinity School where he did honors work in pastoral psychology. He was awarded Duke’s Dumfries Fellowship at graduation, spending a year in Dumfries Scotland. After leaving the ministry, he obtained clinical training at the Institute of Religion and Human Development in Houston, TX. 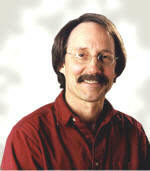 Since 1975, Peter has maintained a private practice in Greensboro, NC. He has always been interested in the problems that men have to solve in order to pursue balance in their social and psychic lives. On Friday and Saturday Mornings before breakfast, everyone is invited to a time for the sacramental bread and wine with reflections offered by Dr. Z. N. Holler. 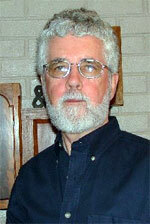 Z is a retired Presbyterian (USA) minister, who has served on the University Campus as well as in Congregations. 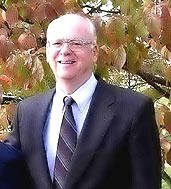 He has served regularly on the faculty of The Servant Leadership School of Greensboro. After Davidson, Z graduated from Union Theological Seminary in Virginia and subsequently earned a PhD in Biblical Criticism from The University of Aberdeen, Scotland. Z is one of the founders of The Beloved Community Center of Greensboro and chaired its first Board. As one of the Co-Chairs of The Greensboro Truth and Reconciliation Project, Z has helped shape and lead our nation's first "truth commission" to "facilitate forgiveness, reconciliation and healing of the wounds inflicted on Nov. 3, 1979 and its aftermath." That event led to deaths of five Communist labor organizers at the hands of the Ku Klux Klan and American Nazis in Greensboro and had never been fully and adequately addressed. Among the many honors Z has received is an award presented by the Z. Smith Reynolds Foundation for his advocacy for the poor and neglected, his work toward positive community change and his personal service. Currently, Z is preparing for publication a book of sermons to be entitled: God's Love is Tough Love: Sermons Unleashed for Modern Seekers. -- thoughtful explorations of the embodiment of Jesus' way for our time which invite engagement and conversation rather than demanding agreement.